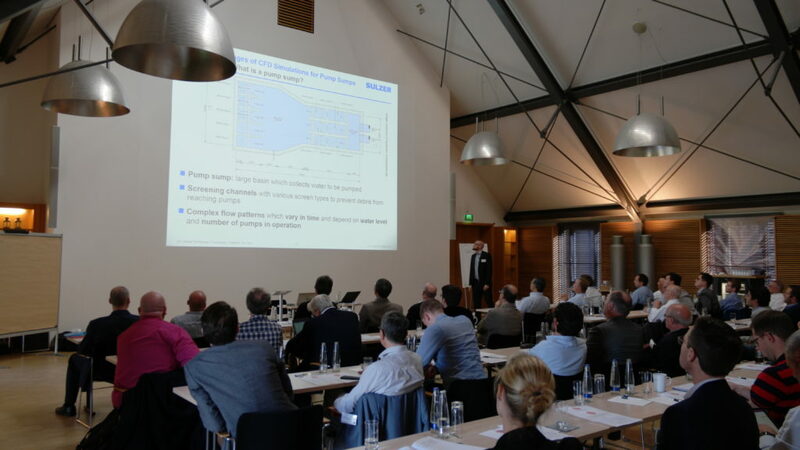 This year, ISimQ invited to the castle Hohenkammer north of Munich for an exchange on innovative turbomachinery flow simulations: The ISimT-18 took place in mid-November in a historic building. 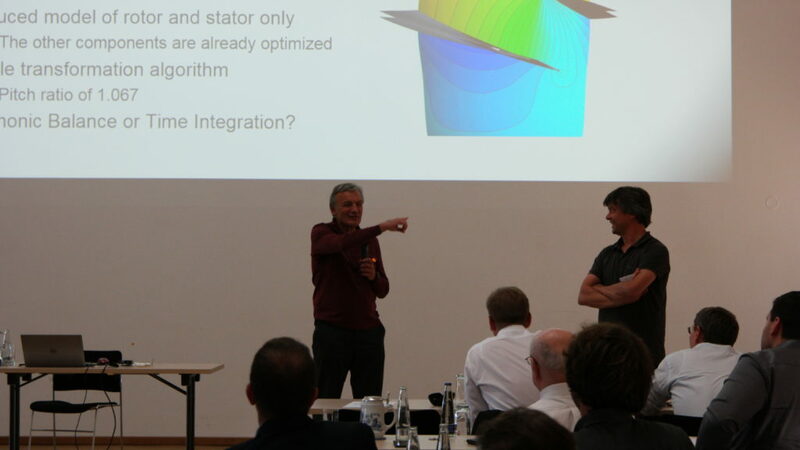 The symposium on “Innovative Simulations in Turbomachinery” was again well attended and the feedback from the participants was consistently positive. 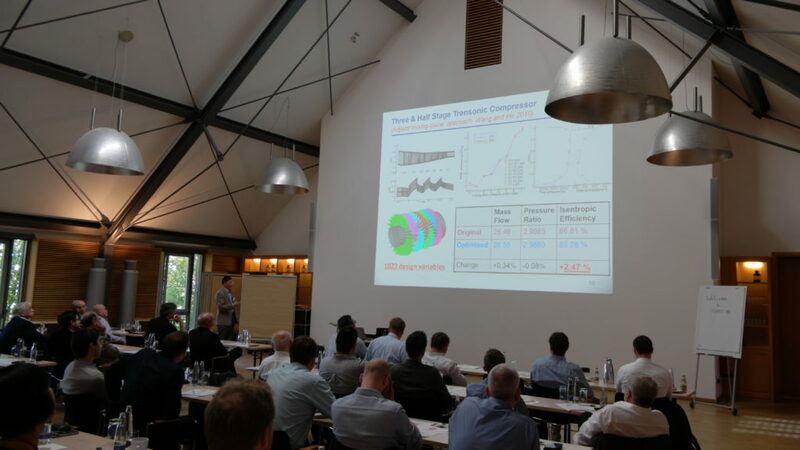 The ISimT symposium provides an overview of best practices, trends in flow simulation and advanced CFD techniques for a wide variety of turbomachinery applications such as pumps, gas turbines, and fans. This year, the keynote lectures were scientifically oriented: Professor Li He from Oxford University’s renowned Thermofluids Institute presented his ideas on “Multiscale Multiphysics Interactions: Challenges and Opportunities in Turbomachinery CFD”. Paul Galpin, the ISimQ specialist in numerical methods, gave a theoretical overview of “Vertex-Centred and Cell-Centred Discretisation Schemes”. “We have achieved a good mix of new methods and examples from industrial practice. I think everyone was able to take something home”, says ISimQ’s Managing Director Georg Scheuerer. The attendees liked the opportunity to exchange ideas with representatives of leading companies and renowned research institutes between the lectures and at the evening event. “The discussions were very lively”, confirms Scheuerer. The ISimT-18 agenda is online at http://isimq.com/isimt-symposium/. The presentations are available for a fee of € 225. Please send an email to isimt@isimq.com if you are interested. We will announce information about the next symposium, the ISimT-19, in early 2019. For questions about the symposium, please write an e-mail to isimt@isimq.com or call us at +49 8024 6083308.